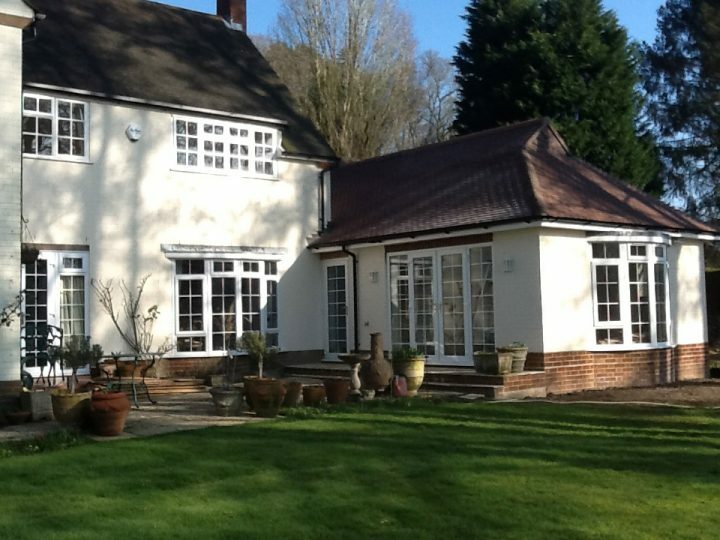 Luke Williamson Architect was asked to design an extension to a house near Reading. The client was keen to obtain approval for a scheme that could be constructed in 2 phases. The first phase, shown on the photos, was to add a new Garden Room extension to help link the original uninsulated Utility area and store. Phase 1 was also designed to provide height and space for a new stair into an extended loft over the existing garage (phase 2). Careful thought was given to the existing and proposed structures to ensure that Phase 1 would be largely untouched, when Phase 2, raised the garage roof.